Recently, I was contacted by Squared Up and asked if I would do a review of their product. Since I’ve reviewed other third-part products in the past, of course I would be willing to review this one. So let’s get started. This series will cover the Squared Up HTML 5 Dashboard and Web Console. Now that we have the Squared Up dashboard installed, we can activate the product. You will need to have an Activation Key. If you do not have one, you will need to contact Squared Up at support@squaredup.com to request one. If your web server has Internet access, when you first log into the Squared Up dashboard after the installation, you will be prompted to enter your activation key. Once the activation is complete, the main overview dashboard will be shown. 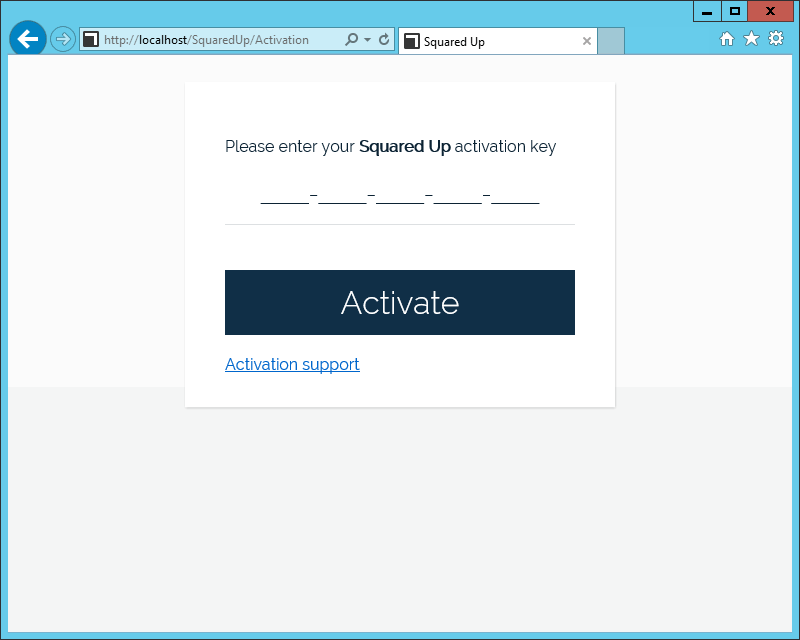 To activate the product using your activation key, Squared Up needs to connect to the internet. If this is not possible, it will not be able to activate automatically. Instead, an offline activation is required. Log on to the server where Squared Up is installed. On the File menu, select Activation Wizard. Select ‘I want to request a licence file’ and click Next. Enter the activation key provided by Squared Up and click Next. Copy the resulting text (License Request Contents) to the clipboard. On a system that has Internet access, browse to http://squaredup.com/manual-activation and enter the requested details. Once you’ve filled out the manual activation details, click ‘Submit‘. Within ~5 minutes you should receive an email with a licence file attached. You will need to transfer this file back to your server. If you do not receive an email within 5-10 minutes, please check any spam or antivirus filters. 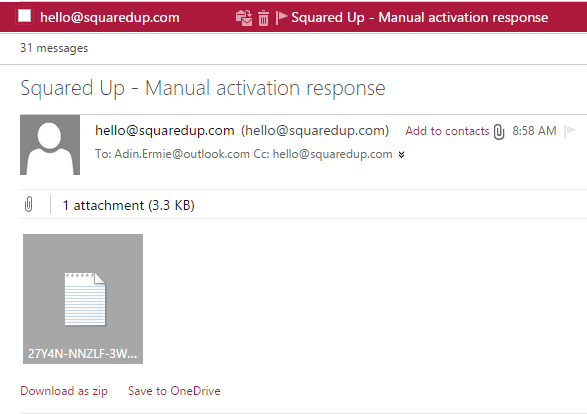 If you still haven’t received a licence file, please contact support@squaredup.com quoting the licence request text. 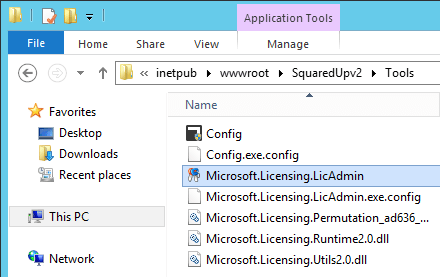 Follow the steps in the “Manually Install A License File” section, and afterwards browse to http://<Your-SquaredUp-Web-Server>/SquaredUp to log in to Squared Up. Select the licence file provided and click ‘Next‘. After the activation has completed, click Finish. Launch Internet Information Services (IIS) Manager. Browse to <Your server>/Application Pools. Select ‘SquaredUpv2’ in the list. Right click and select ‘Recycle’. 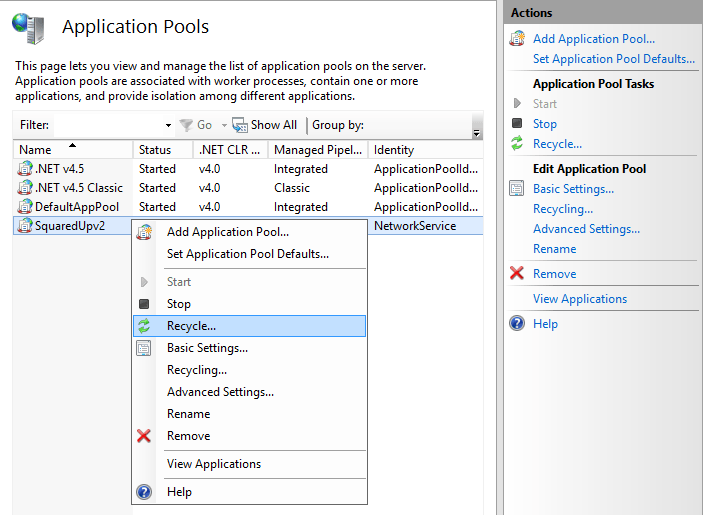 Alternatively, with the SquaredUpv2 App Pool selected, you can click on ‘Recycle’ from the Actions menu > Application Pool Tasks. 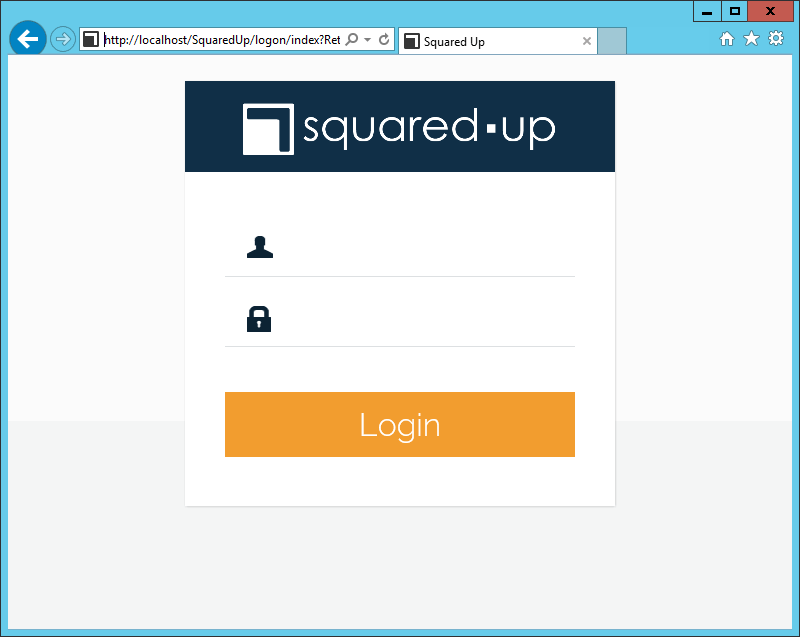 Browse to http://<Your-SquaredUp-Web-Server>/SquaredUp to log in to Squared Up. Enter your activation key. If successful, you will be redirected to the default Squared Up dashboard. 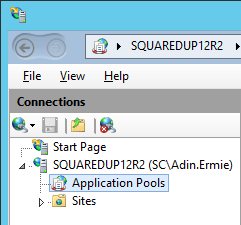 Recycle the SquaredUpv2 app pool using IIS Manager. Now our product activation is complete. If you are interested in pricing for the product (which is dependent on the number of users), see the Pricing page: https://squaredup.com/pricing. Speaking of licensing per user, please note the following. Named user licences are allocated automatically when new users logon to Squared Up. Each unique Domain\UserName logon identifier requires a licence. Named users can be manually added and removed using the instructions below. To add or remove named users, the SquaredUp application pool needs to be stopped. This will end current user sessions and the Squared Up application will be inaccessible while these changes are being made. 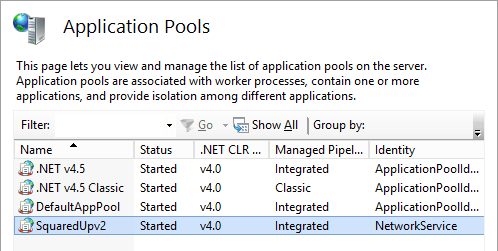 Open IIS Manager and navigate to Server > Application Pools. Select SquaredUpv2 in the list and click Stop in the Actions pane. In Windows Explorer, navigate to C:\inetpub\wwwroot\SquaredUpv2\AppState, and open the Users.xml file in a text editor. Add or remove NamedUser entries as required. Once you have finished modifying the NameUser entries, go back to IIS Manager, expand Server > Applications Pools, and select the SquaredUpv2 app pool. Then click Start in the Actions pane. Next, let’s move on to Part 5: Configure the SCOM Data Warehouse.